Clear, acne-free skin is often just a set of acid treatments away. However, many people—especially those with sensitive skin—want to avoid anything associated with the word “acid” because, to them, acid means red, burning and irritated skin. As we will see, though, it doesn’t have to be that way. If you want cleaner pores for clearer, acne-free skin, you’re going to have to use acids for the fastest, most effective results. Let’s look at what each of these acids do for your face. Glycolic acid, an alpha-hydroxy acid (AHA) derived from plants—such as sugar cane, pineapple and sugar beets—is often used as a chemical peel (especially in high concentrations). Glycolic acid is the holy grail of exfoliation, effectively removing the outermost layer of dead skin cells, revealing a brighter, radiant complexion. It is also effective with treating and preventing acne, fading dark spots, evening out skin tone and reducing fine lines. When combined with amino acids in the patented AHAminoPlex™, it can be delivered with minimum skin discomfort. Special care should be taken (like wearing sunscreen) after using glycolic acid, as it increases the sun sensitivity of your skin. What Does Lactic Acid Do for Your Skin? Lactic acid, known as the sensitive skin hero, is another AHA often used as a skin exfoliant, minus the irritation. It is gentler than glycolic acid and helps hydrate the skin while more effectively treating sun damage. It also helps stimulate collagen production, which can help smooth out wrinkles and fine lines. Products with lactic acid will often produce a lighter skin tone. This is precisely why it’s wonderful for combating hyperpigmentation, dark patches and spots. What Does Salicylic Acid Do for Your Skin? Derived from willow bark, salicylic acid is a beta hydroxy acid (BHA) that has powerful acne-fighting properties and is excellent at treating oily and blemished skin. It works on many levels of the skin. The structure of this compound is what makes it so hard working as it is more oil soluble than most other beta hydroxy acids—meaning it easily penetrates deep into the pores to effectively dissolve the glue that sticks dead skin cells together. If this area is not effectively cleaned out, it can often result in pimples, blackheads, whiteheads and other blemishes. Not only that, but it gently exfoliates the surface of the skin to rid it of dead cells and bacteria that can often cause breakouts. Salicylic acid is also highly anti-inflammatory and works miracles on calming down red, inflamed and “angry” skin. It’s also perfect for anyone that suffers from breakouts due to its potent acne-fighting properties that make it an ingredient in many of the best acne treatments. 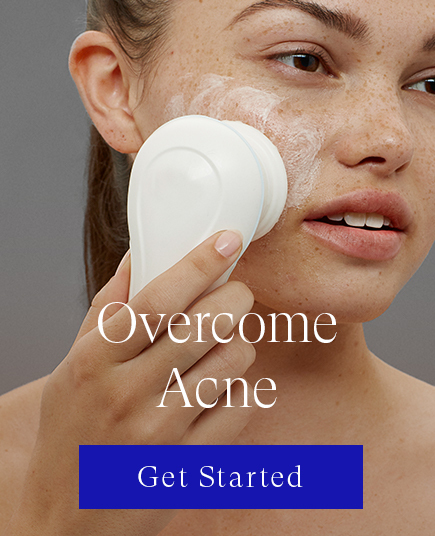 Basically, it’s a one-stop shop for all your blemish bothers! Oily, acne-prone skin can reap the beauty benefits with Clear. Its unique delivery system helps reduce the skin irritation typically associated with glycolic acid by releasing it slowly over time. The patented AHAminoPlex™ molecule will give you the same level of exfoliation, cell turnover, hydration and other age-fighting effects as regular glycolic acid, but without the burning and redness. The lactic acid is also paired with amino acids in Clear to create a complex that ensures maximum AHA delivery with minimum discomfort. The salicylic acid is delivered in the form of betaine salicylate extracted from sugar beets. It too is slow-released by being combined with keratolytic BHA. The anti-inflammatory properties of the salicylic acid are supported in Clear with the addition of licochalcone, a powerful skin calming molecule extracted from Chinese licorice, panthenol, which calms and encourages skin repair as well as other ingredients with skin-calming and hydrating properties. All of this makes for a powerful army to clear your skin of acne and discoloration. You deserve clear and healthy skin, without all the burning and redness typically associated with acid treatments. Click here to experience next-level Clear.